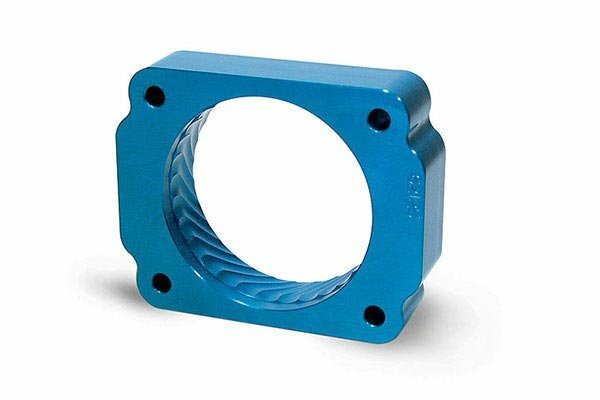 Jet 62125 - Jet Power-Flow TBI Spacer - FREE SHIPPING! This TBS works great!!! It took about 20 min to install and made my truck run a lot smoother!!! This product goes great coupled with my cold air intake and cherry bomb extreme exhaust! An absolute breeze to install. They could have stamped it with "this side out", however. Noticable throttle response and low to mid power gains. The jury is still out on fuel mileage improvement. everything i heard it was.more power all through.haven't checked milage as of yet but it looks to have used less gas since last fillup.looks great .very easy install.took 15 min.noticed a difference in power rightaway.would buy again. Reference # 756-430-345 © 2000-2019 AutoAnything, Inc.